MacBook's Butterfly keyboard vs. the ThinkPad keyboard? No contest. I could say, “crummy MacBook butterfly keyboard vs. legendary ThinkPad keyboard? No contest. End of story.” But the struggle is real: Even though the latest MacBook Pro 15 suffered some performance issues before Apple found a fix, the brand still carries some cachet with corporate users. Heck, it’s still what I see most often on my fellow commuters’ laps as I take the train to work. 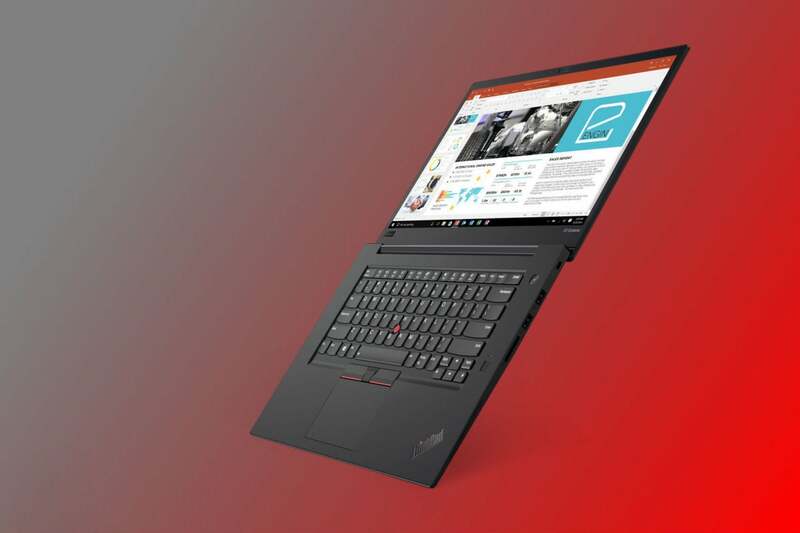 To face down this formidable foe, Lenovo has stretched its new, top-of-the-line ThinkPad X1 Extreme to accommodate a 15-inch display (14 inches had been the maximum before). It’s even added discrete Nvidia graphics for the first time. Announced Thursday night at IFA in Berlin, Germany, the ThinkPad X1 Extreme will ship in September with a starting price of $1,860. No, that isn’t cheap, and the price goes up as you pick higher-end options. But consider this: The lowest-priced MacBook Pro 15 starts at $2,399. So if you select a MacBook Pro 15, you’re over $500 in the hole compared to the ThinkPad X1 Extreme, and you haven’t even upgraded anything yet. Apple has always charged a premium for its products, so this is hardly news. 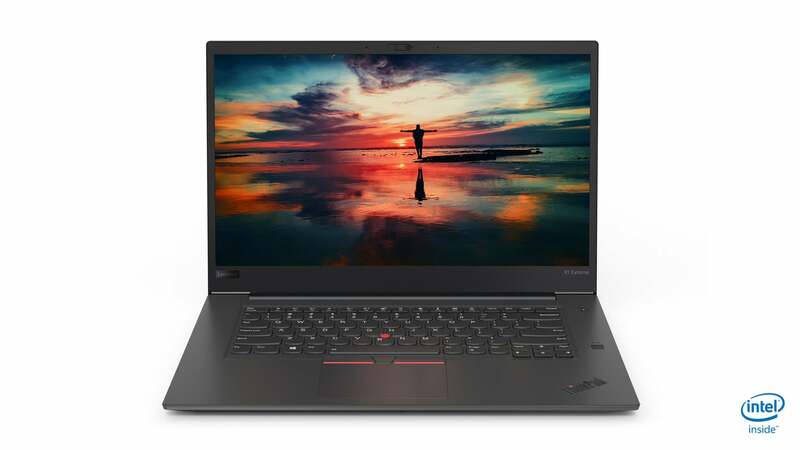 But when a laptop is a business decision, the MacBook Pro’s significantly higher prices compared to the ThinkPad X1 Extreme could very well be what kills it in the end. 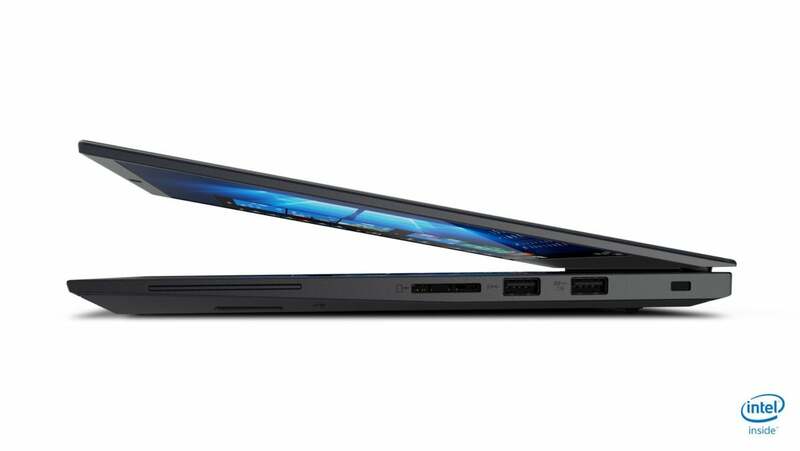 Here are all the specs we know about the ThinkPad X1 Extreme, with comparison to the MacBook Pro 15 along the way. CPU: Up to 8th-generation Core i7 with vPro. More specifically, these are the well-regarded Coffee Lake H mobile processors, the same family from which Apple draws the CPUs for its MacBook Pro 15. Apple also offers the top-of-the-line Core i9 processor as an option, which Lenovo will start offering in December for the ThinkPad X1 Extreme (not at launch time). Memory: Up to 64GB DDR4 RAM at 2,666MHz. The MacBook Pro 15 offers up to 32GB of DDR4 memory, at a slightly slower 2,400MHz. The ThinkPad X1 Extreme includes two USB 3.1 Type A ports and an SD card slot. Graphics: Nvidia GeForce GTX 1050 Ti Max-Q. This is Nvidia’s midrange graphics solution, a solid choice for photo and video editing, and even gaming. It’s a good sight more powerful the AMD Radeon Pro 555X or 560X options offered for the MacBook Pro. Storage: Up to two 1TB PCIe SSDs with RAID 0/1 capability. The MacBook Pro takes just one SSD, but it offers capacities starting at 256GB (just on the $2,399 model) up to 4TB. Networking: While both offer wireless networking, neither offers ethernet (the ThinkPad X1 Extreme offers it via a dongle). The lenovo ThinkPad X1 Extreme has two Thunderbolt 3 ports as well as two USB 3.1 Type A ports. Ports: The ThinkPad X1 Extreme splits the difference between legacy and future devices, with two USB 3.1 (Gen 1) Type A and two Thunderbolt 3, plus HDMI 2.0 and an SD card slot. The MacBook Pro 15 says buy your own dongles, offering four Thunderbolt 3 ports. Battery: 80Whr, up to 15 hours on a full charge. The MacBook Pro 15 has an 83.6Wh battery and a projected life of up to 10 hours on a full charge. Your mileage will vary, of course. Higher resolutions or brighter display settings will use more battery power, for instance. Weight: 3.75 pounds. The MacBook Pro is a little heavier at 4.02 pounds. Dimensions: 14.24 x 9.67 x 0.72 inches. The MacBook Pro 15 is a little smaller, at 13.75 x 9.48 x 0.61 inches. 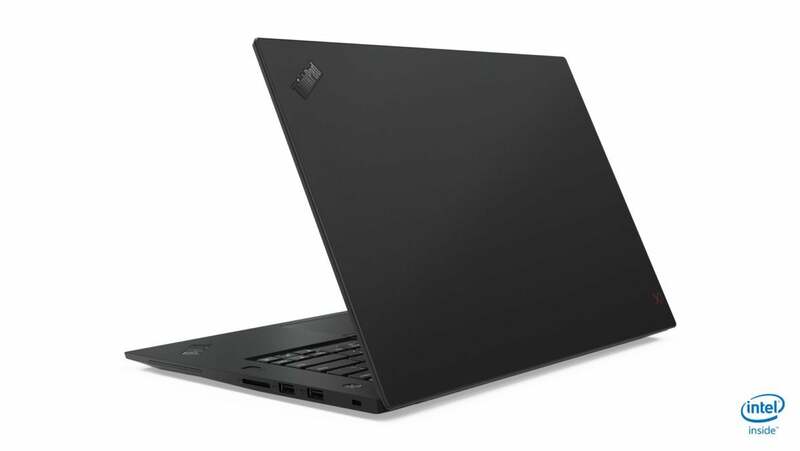 Let’s look at a few other features that distinguish this completely new ThinkPad. The ThinkPad X1 Extreme uses four layers of reinforced carbon fiber in its lid. The build quality seems up to ThinkPad’s usual high level. The lid consists of four layers of reinforced carbon fiber. A shell of aluminum alloy on the bottom is durable and also helps dissipate heat. The keyboard question is no small matter. Much has been lamented over the butterfly-switch keyboard Apple started putting into its MacBooks. The short travel and apparently spotty reliability have made it few friends. Meanwhile, the ThinkPad keyboard is one of the trademark strengths of the product line. It has a great 1.8mm of travel. It even still has the eraser-nub TrackPoint navigation tool, as well as a trackpad and real mouse buttons. These laptops are supposedly designed for real work. When it comes to the fundamental keyboard component, the ThinkPad X1 Extreme is much better equipped. Last is one thing the MacBook Pro still can’t match: Pen support (let alone touch support of any kind, other than the Touch Bar). The ThinkPad X1 Extreme includes its own pen—though it’s external, not stored in the chassis—so you can use it with Windows 10’s pen functions. Lenovo's Thinkpad Extreme X1 gives up some battery life with its 4K panel, but its upgrade options, built-quality and delectable 4 lbs. weight makes it hard to beat for a business workhorse laptop. Relatively fast, yet light at 4 lbs.